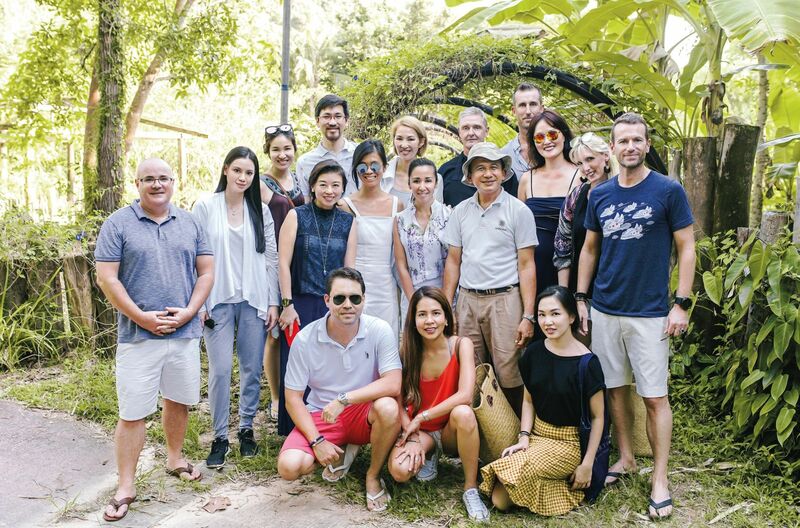 During the Asia Tatler Sustainability Forum at Soneva Kiri, industry leaders from across Asia gathered to discuss and exchange ideas on how they can implement ways to reduce waste for a brighter, greener future—both in their business and in their personal lives. Amidst all of the workshops and roundtable discussions, we sat down with some of the attendees to get their individual pledges on video, which you can watch below. What will you be doing differently for a more eco-friendly future? As well as being the founder of Central Weddings, Yolanda Choy-Tang is the co-founder of EcoDrive Hong Kong and a driving force behind the organisation's mission to educate people on the devastating long-term effects of single-use plastic, while encouraging them to make small everyday changes to ensure a greener future. For Clara Goh, Fendi's Marketing & Communications Director for Southeast Asia and Australia, it was all about getting the conversation started. She pledges to create a platform that will bring people together by offering education and solutions for sustainability. Kent Ho and Emily Lam-Ho pledged to help sustainable and socially responsible companies get the investment backing they need to compete in a world that expects more from its entrepreneurs. Emily, who as a mother of two said she was driven by a desire to make the world a better place for the next generation, added that she would like to see more women lead companies. As Managing Director of Prime PR, Laura Southwood has pledged to take her experience working with her vast array of clients—which range from fashion labels to leading beauty brands and luxury hotels and travel experts—to work with companies to accelerate progress and sustainability. Laura is also a co-founder of EcoDrive Hong Kong. Claire Yates, owner of the Lion Rock Press, promised to see that viewership of EcoDrive’s short film, Start Small, Start Now: Hong Kong’s Plastic Story, which reveals the extent of the pollution crisis, would grow from the current tens of thousands of people to more than 10 million within a year. Since the forum, Swire Beverages has announced it is working with Alba Group Asia and Baguio Waste Management and Recycling to open in 2020, this new plant should be able to recycle all of the PET and HDPE plastic used in the city. "By the end of 2019, our places of business will be completely plastic-free,” pledged Malaysian businessman Daryl Foong, general manager of aquarium operator Aquawalk, on behalf of himself and his wife, Melissa Lam, general manager of property developer Senja Aman. This highly influential couple has been paving the way to a plastic-free future, starting with Princess Zatashah’s #sayno2plastic campaign, which went viral in Malaysia early last year. Aubry Rahim Mennesson, who is Malaysia’s Cold Stone Creamery executive director, says that he pledges to reduce single-use plastic both in his personal life and in his businesses. GoalBlue’s May pledged to work with 5,000 restaurants in Beijing and Shanghai to reduce their use of plastic and red meat. The production of meat, whose consumption is rising dramatically around the globe, is a big contributor to greenhouse gases and requires vast tracts of land and volumes of water. Thailand’s Marisa Sukosol Nunbhakdi, executive vice-president of Sukosol Hotels, pledged that by 2020, single-use plastics would be reduced by 20 per cent in 20 of the group’s hotels. “Sustainability is a big part of our company DNA,” she said. For Busaba Chirathivat, who is the executive vice-president of corporate communications at Central Group, Thailands largest retail conglomerate, moving towards a sustainabile future is about creating new habits and attitudes—she pledges to be a leading example in the retail industry, encouraging businesses to reduce and reuse packaging. Philippine pearl farmers Jacques Christophe Branellec and Mia Arcenas-Branellec made a promise to educate the Philippines' youth on simple ways to protect the oceans, so that they may be continue to be enjoyed for generations to come.